A typical 500g pack could sow 14 metres square. Sowing rate: 35 g per square metre. A special hard-wearing mixture which produces a fine turf. This grass seed is ideal for both repairing and re-seeding for that expert finish. The grass is hard wearing. Ideal where children and pets play. Seed should be sown in a firm seed bed which is clear of weeds and weed seed, and which has been raked to a fine tilth. Attention should be paid to make sure the ground has the appropriate drainage requirements to prevent water logging. Make sure to seed at the correct rate, and it is advisable to seed in at least two passes in different directions. This will minimise the chance of missing an area to be seeded. 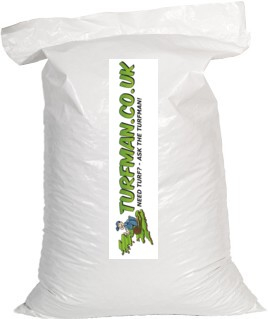 Incorporate pre-seeding fertiliser into the topsoil so as to give rapid growth and quick establishment.